ItemB-00056 - SS Clifford Sifton In Miles Canyon. ItemF-09796 - SS Clifford Sifton Nearing Bennett Lake. ItemG-06950 - View Of The Cable Pick-Up Gear On The Bow Of The Cable-Laying Ship "Iris" At Bamfield. 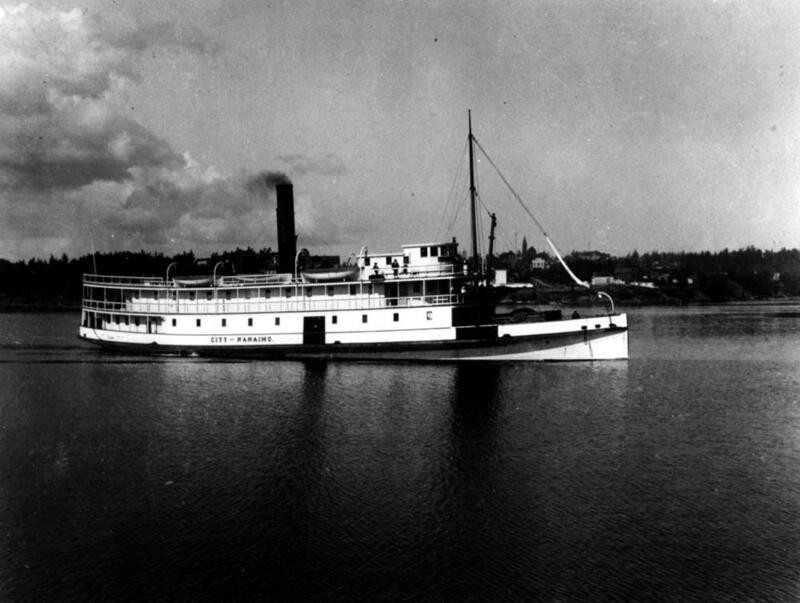 Item A-00030 - The CP SS City of Nanaimo, entering Victoria Harbour.